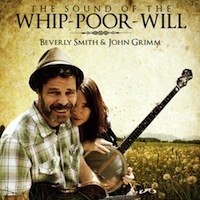 John Grimm and Beverly Smith live in the mountains of North Georgia in the beautiful little town of Dahlonega, in Lumpkin County. For the past 25 years, John has owned and operated the towns music store, Vintage Music, home to a unique assortment of instruments and a gathering place for local musicians. 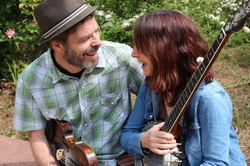 Since 2010 John and Beverly have been performing together at festivals, concerts, workshops and dances across the country and abroad. Their performances feature traditional country duets and a sprinkling of newer pieces. They choose their songs well, and clearly have spent a great deal of time searching through the archives of rural American folk music. Their traditional songs and tunes reveal a deep familiarity with, and great love for the genre. From haunting archaic banjo and fiddle tunes to raucous hillbilly singing, they display an ease that sounds nothing but genuine.